The OECD’s Brain and Learning project (2002) emphasized that many misconceptions about the brain exist among professionals in the field of education. Though these so-called “neuromyths” are loosely based on scientific facts, they may have adverse effects on educational practice. 1-We use only 10 percent of our brains. Studies of brain damage: If 90% of the brain is normally unused, then damage to these areas should not impair performance. Instead, there is almost no area of the brain that can be damaged without loss of abilities. Even slight damage to small areas of the brain can have profound effects. Brain scans have shown that no matter what we’re doing, our brains are always active up to 45%. Some areas are more active at any one time than others, but unless we have brain damage, there is no one part of the brain that is absolutely not functioning. 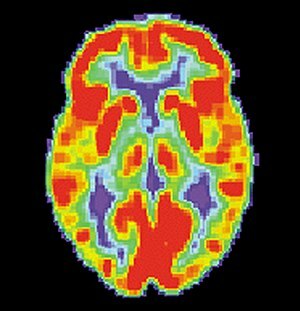 Brain imaging: Technologies such as positron emission tomography (PET) and functional magnetic resonance imaging (fMRI) allow the activity of the living brain to be monitored. They reveal that even during sleep, all parts of the brain show some level of activity. Only in the case of serious damage does a brain have “silent” areas. 2-The brain is static, unchanging, and set before you start school. The most widely accepted conclusion of current research in neuroscience is neuroplasticity: Our brains grow, change, and adapt at all times in our lives depending on stimulus received from our environment. Therefore the more we use our brain at any age, the more we can develop connections and learn new skills even new languages. Experts routinely take the time to learn, unlearn and relearn relevant information related to their fields of expertise. There is a lot of new research going on in the field of cultural neurosciences, looking at the relations existing between cultural dimensions and the brain’s plasticity. Although most people think that good memory means good retrieval, good memory is actually good learning–forming a strong association when acquiring new information. 3-Some people are left-brained and some are right-brained. Like many other myths, this one has emerged from a misunderstanding of experiments made by 1981 Nobel Prize winner Roger Sperry, who noticed differences in the brain when he studied people whose left and right brains had been surgically disconnected. Today, neuroscientists know that the two sides of the brain work together to perform a wide variety of tasks and that the two hemispheres communicate through the corpus callosum. 4-Male and female brains are radically different. Though there may be subtle differences between male and female brains, there is absolutely no significant evidence to suggest that the genders learn or should be taught differently. 5-The ages 0-3 are more important than any other age for learning. Even though the connections between neurons, called synapses, are greatest in number during this period there are few studies that have to do with teaching during these “critical” time periods. Still, there are some powerful insights emerging from brain science that speak directly to how we teach in the classroom: learning experiences do help the brain grow, emotional safety does influence learning, and making lessons relevant can help information stick. The trick is separating the meat from the marketing. Aside | This entry was posted in bilingual, brain, creativity, Education, emotion, Executive Coaching, innovation, motivation, neurosciences, parenting, Personal Development, psychology, social sciences and tagged Brain, cultural neurosciences, Education, Learning, Learning Theories, Ten percent of brain myth. Bookmark the permalink.